Any data source, any API, any cloud or data lake. A comprehensive suite. Or build your own. Including our market-leading Natural Language Processing (NLP) technology. 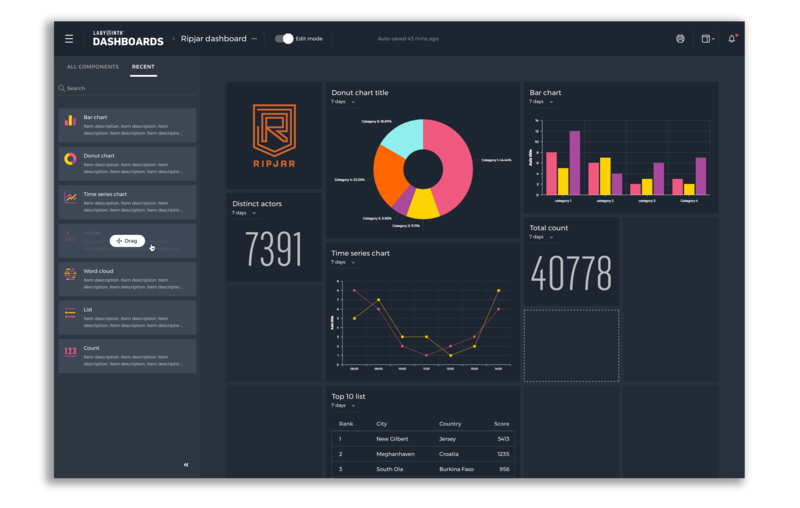 Store knowledge and insights for the whole enterprise. Integrate: Any data source, any API, any cloud or data lake. 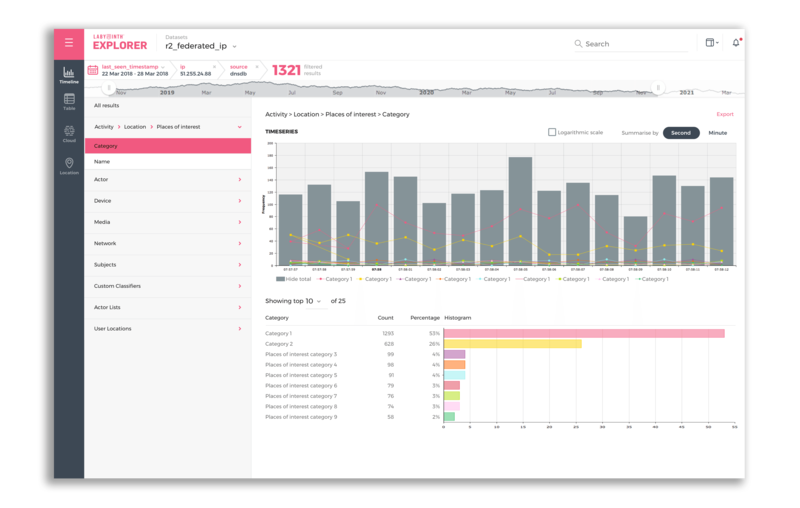 Labyrinth has been built to give complete visibility over all enterprise data sources. Eliminate data silos and rapidly improve analytic efficiency with a single intelligence platform. 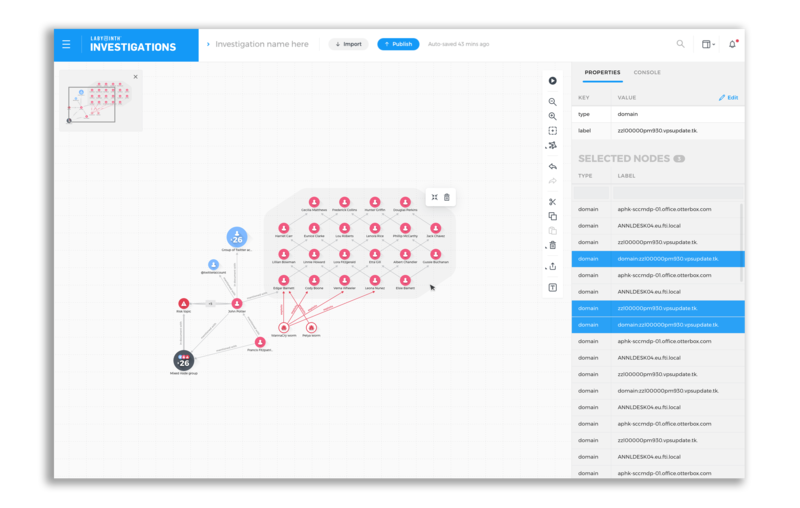 Quickly and easily map in new data sources from anywhere; on-premise data lakes, cloud object stores, external APIs, threat feeds, reports, documents or static datasets - all with full data protection, audit trail, role and attribute-based access control. 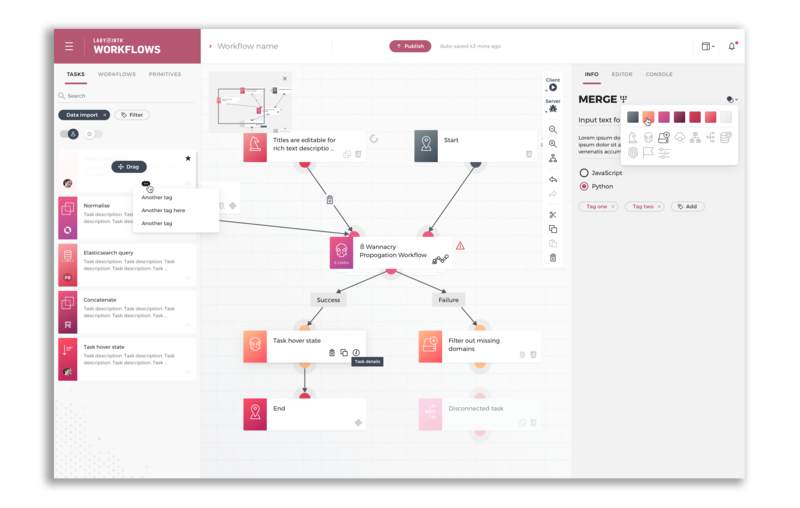 Automation: Complex Workflows. Infinite configuration. Automate complex manual and time-consuming processes with Labyrinth’s workflow engine. With infinite flexibility, workflows liberate analysts from the burden of multiple systems and legacy processes to dramatically increase analytic efficiency. 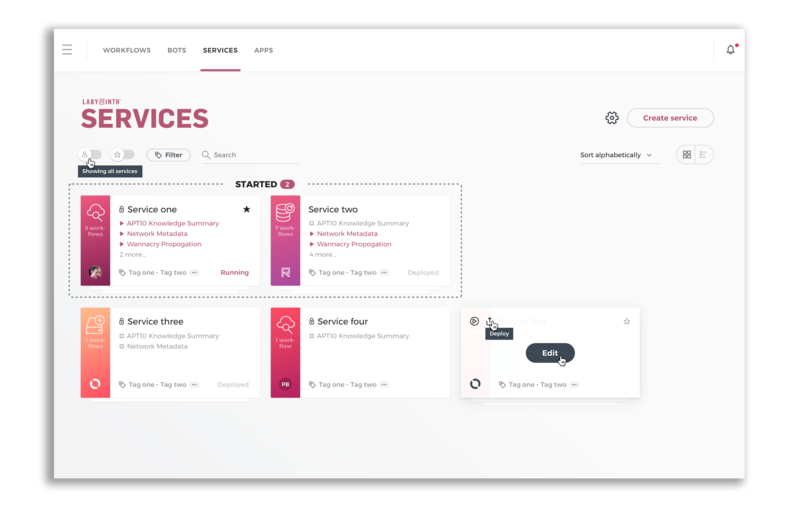 Turn workflows into RESTful services and automated bots to even further enhance your operational effectiveness and scale. Secure: From the Ground Up. Labyrinth provides end-to-end platform security to safeguard your data, analysis and knowledge. Lock down data using strong authentication with role and attribute-based access. Labyrinth allows organisations to maintain and comply with any privacy, data protection and security classification policy. Integrating with existing security models, access control systems and audit logs, Labyrinth gives organisations peace of mind and accountability without compromising analytic effectiveness. Applications: A comprehensive suite. Or build you own. The right tool for the right job. Perform link analysis, case management and global knowledge sharing. Federate your search terms across all data silos. Slice and dice through millions of rows of data across any attribute. See real-time alerts and entities in dashboards. Write fused intelligence reports and share with key decision makers. Not enough? Build your own apps and custom user interfaces using React. Analytics: Including our market-leading Natural Language Processing (NLP) Technology. Eliminate thousands of hours of analyst time by automatically enriching unstructured data like reports, documents, emails or websites. 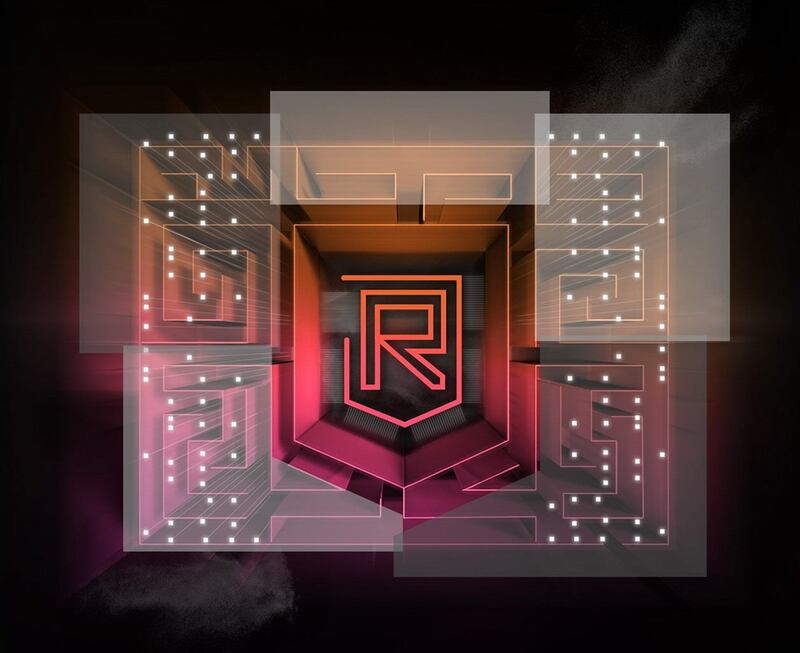 Ripjar’s market-leading NLP service supports entity extraction in dozens of global languages and scripts. Resolve names, locations, companies, indicators, devices, and even identities and understand and ensure that no stone goes unturned. Knowledge: Store knowledge and insights for the whole enterprise. Store and share mission-critical intelligence. 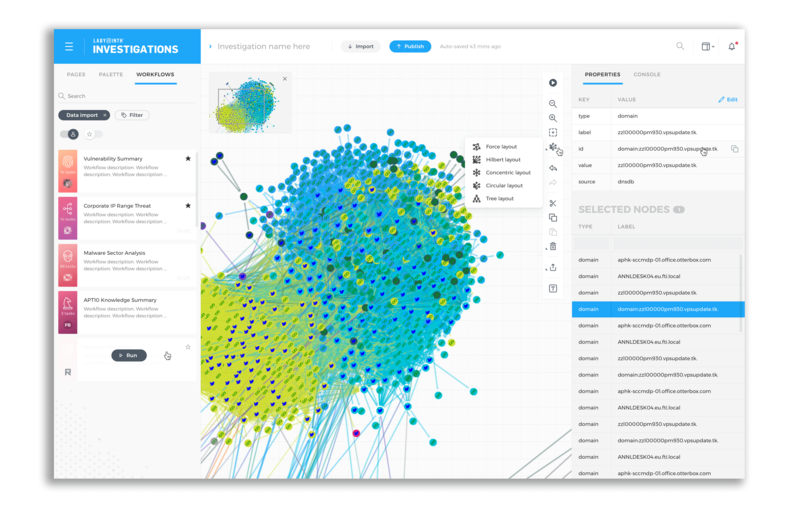 Build up knowledge of threats, risks, incidents and relevant data points to reduce the risk of intelligence failure by integrating historical patterns into on-going investigations. Report findings and intelligence outcomes to key decision-makers and stakeholders without losing the chain of evidence. Ask us for a demonstration that will transform your data intelligence strategy.